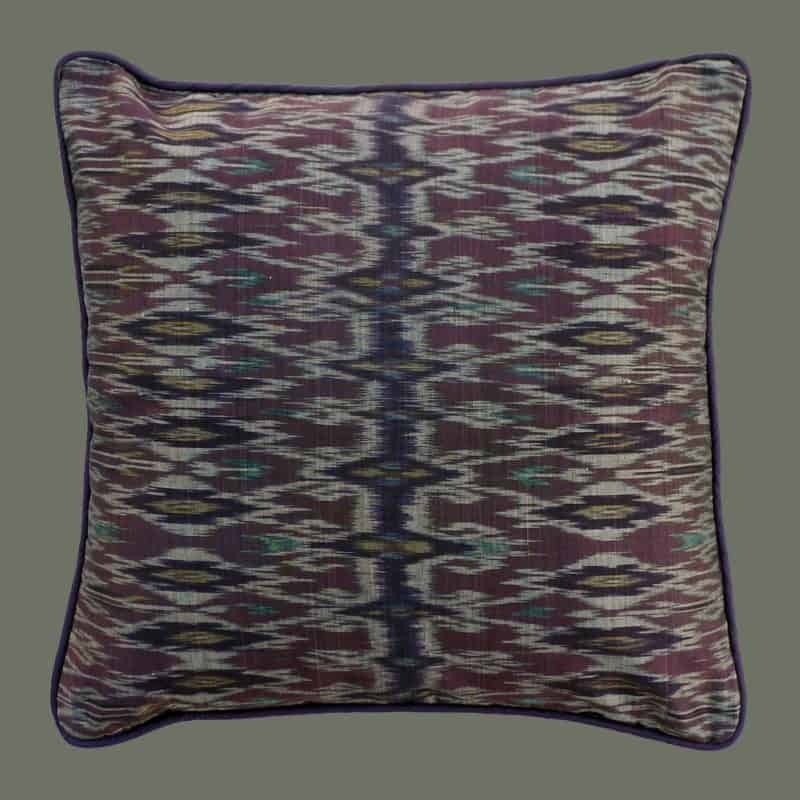 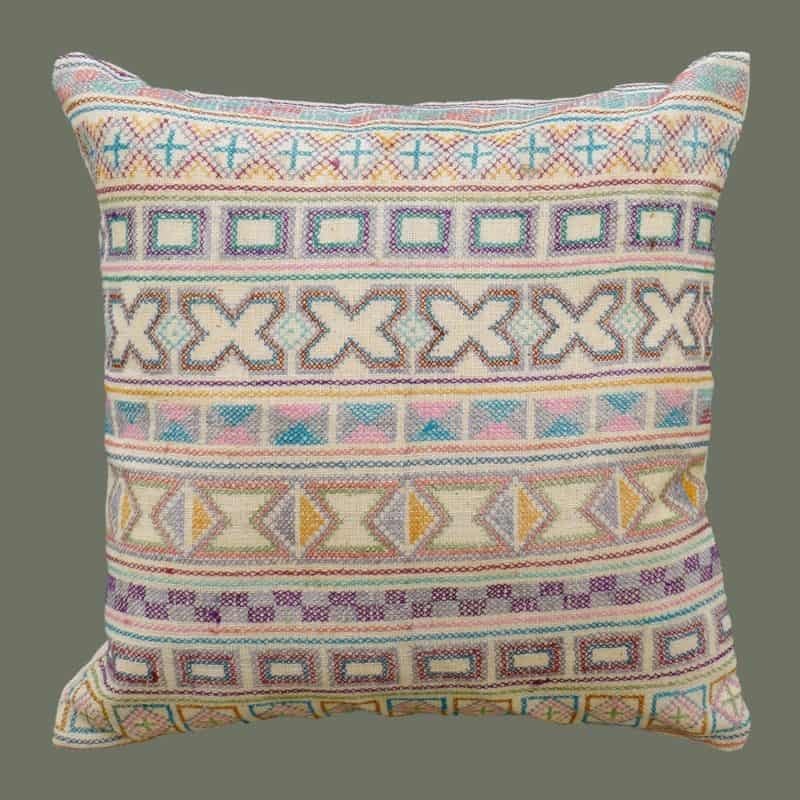 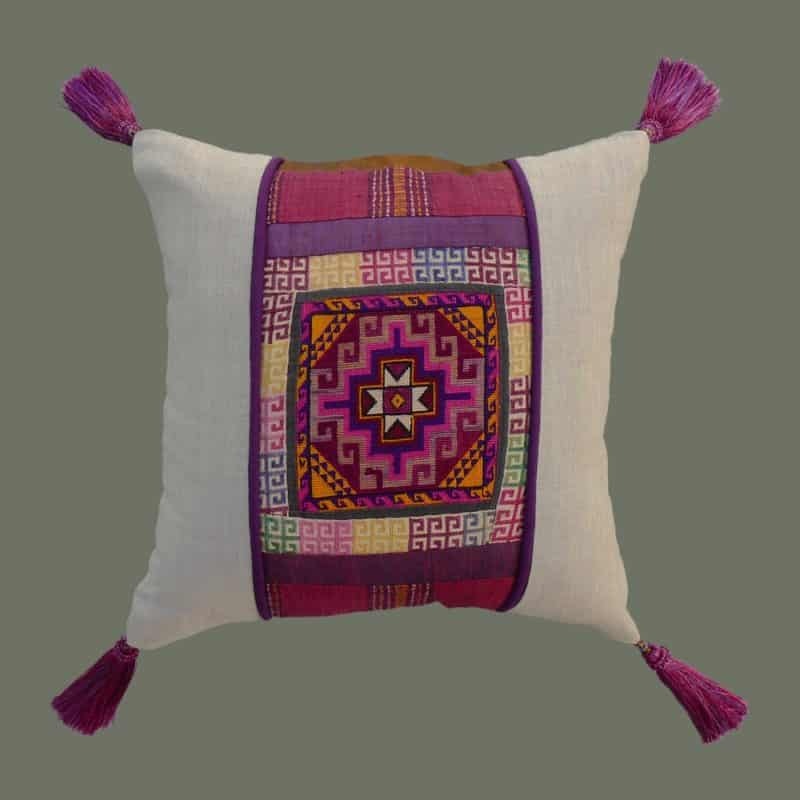 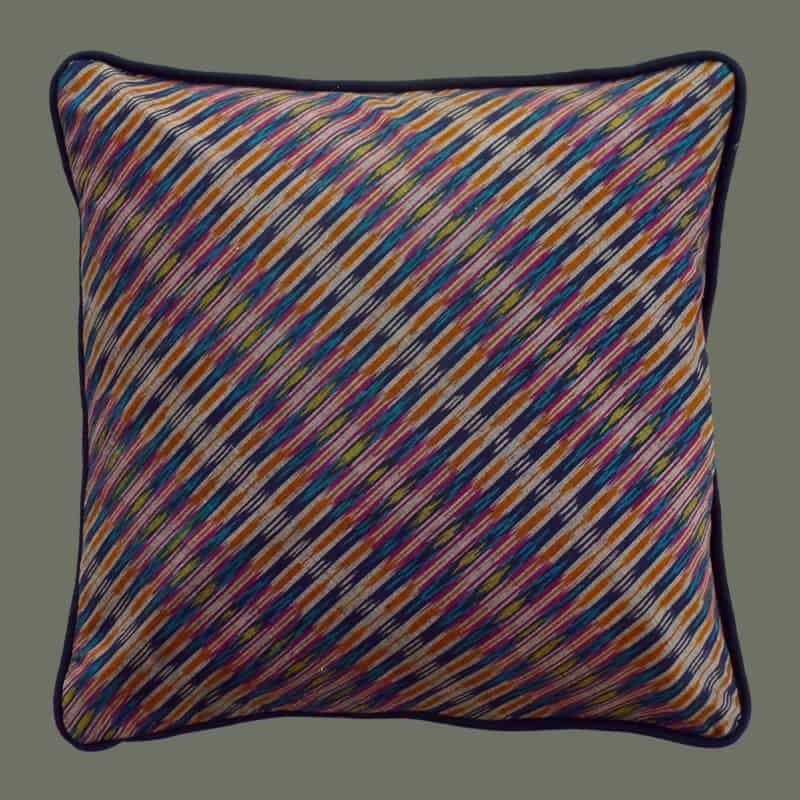 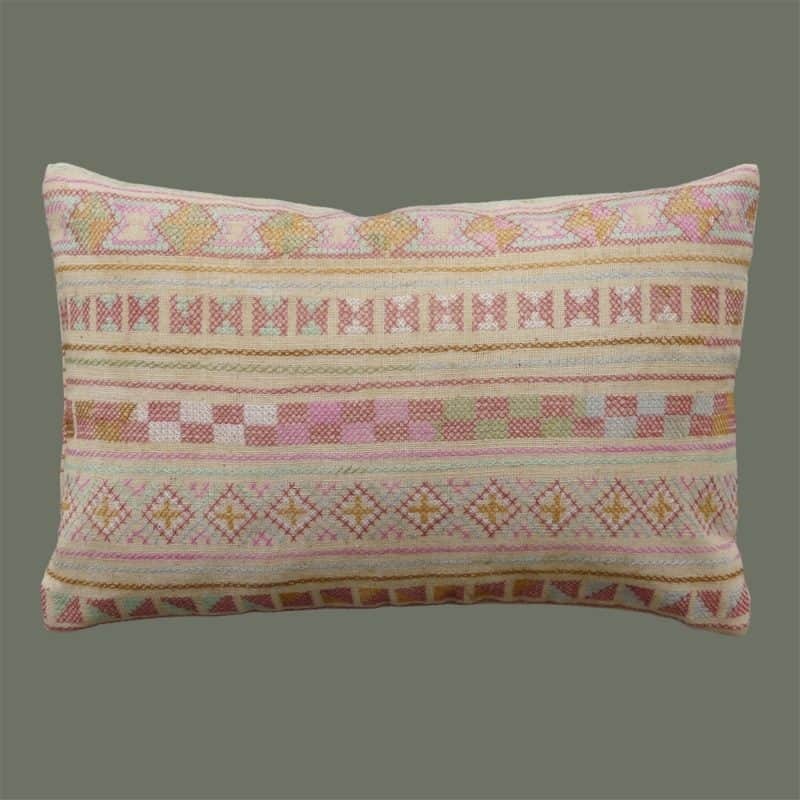 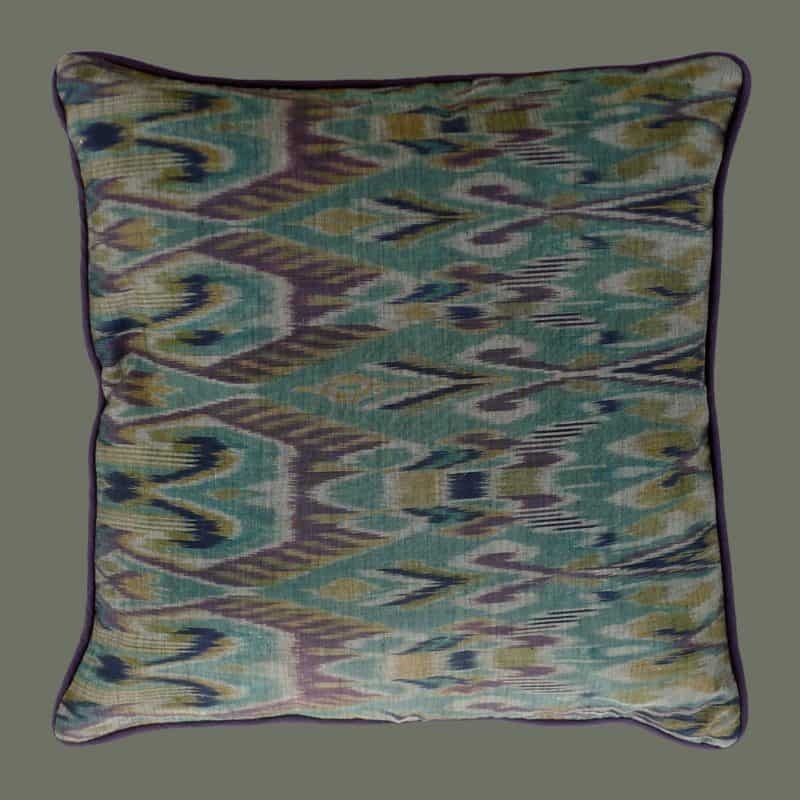 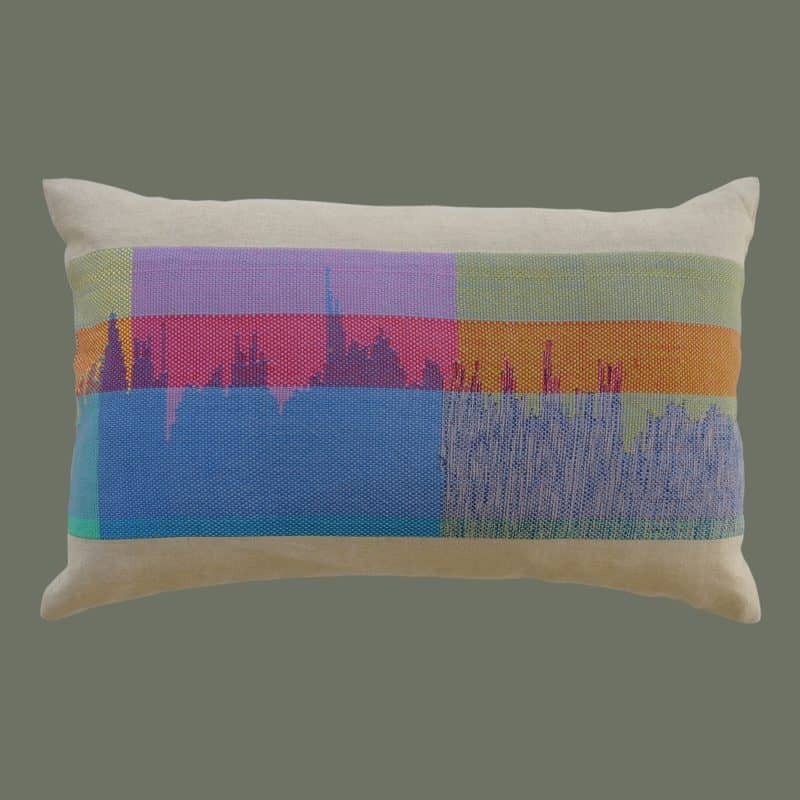 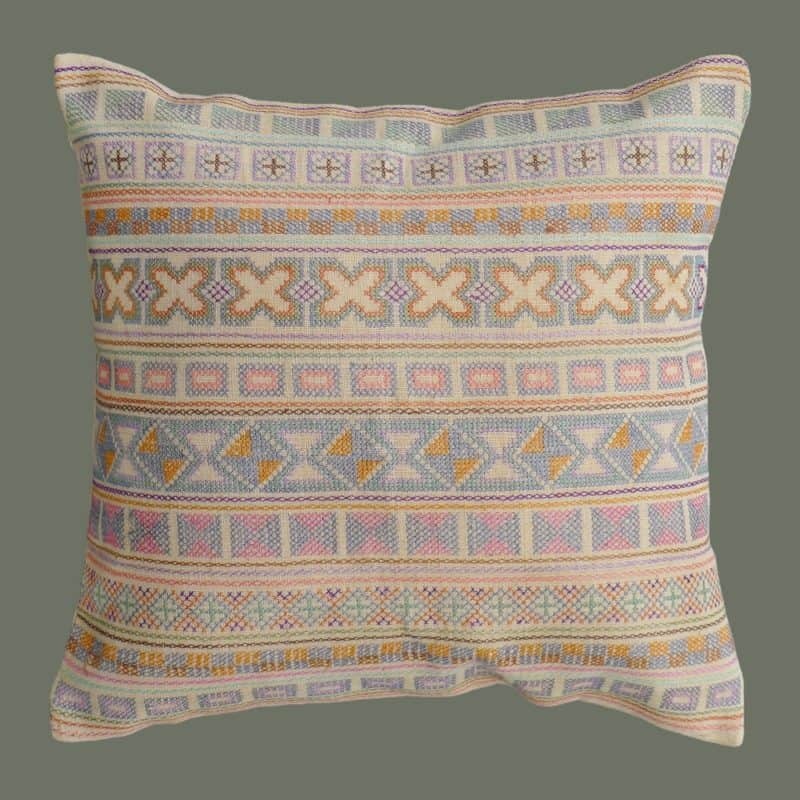 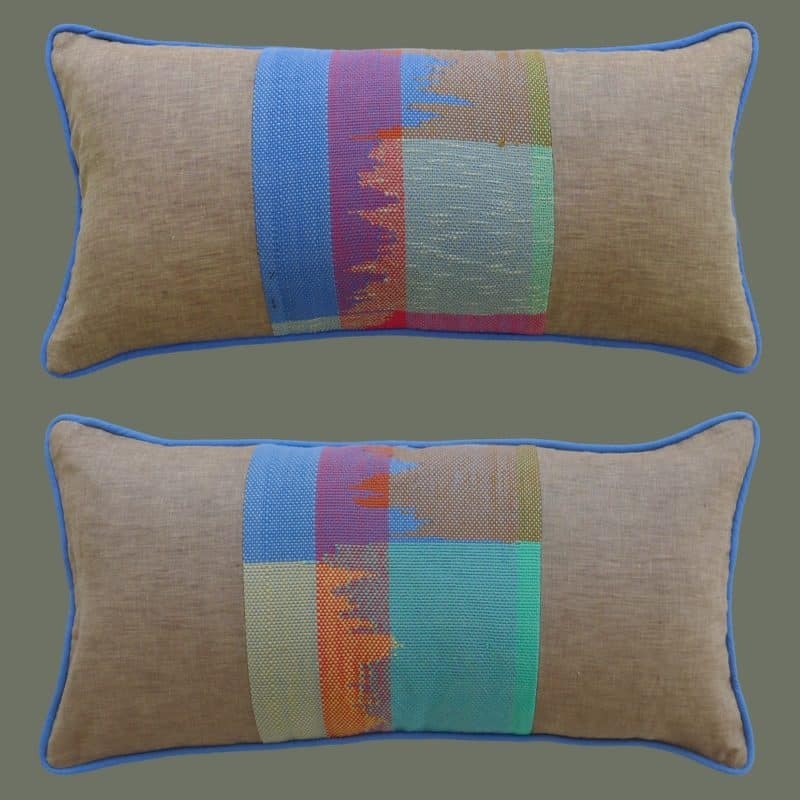 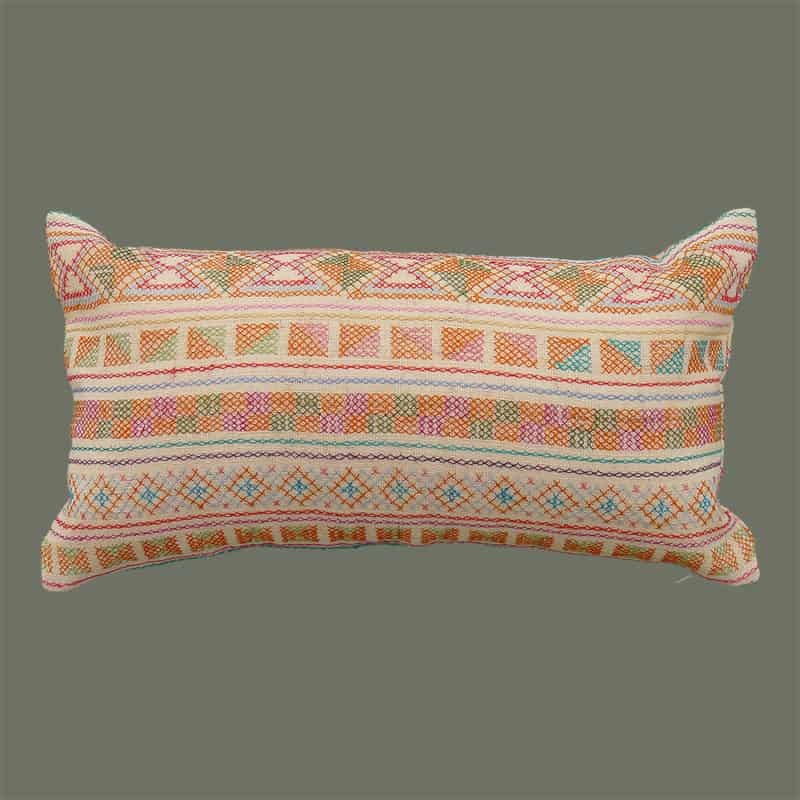 Colorful cross stitch embroidery by Akha tribal women on handwoven cotton. 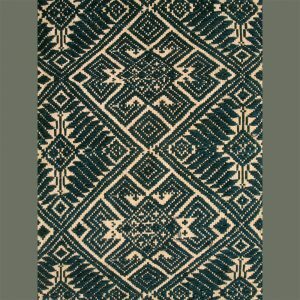 One-of-a-kind vintage Sumba weaving in natural colors on cotton; accented with custom tassels of handspun indigo cotton, old trade beads, and handmade 92.5 silver. 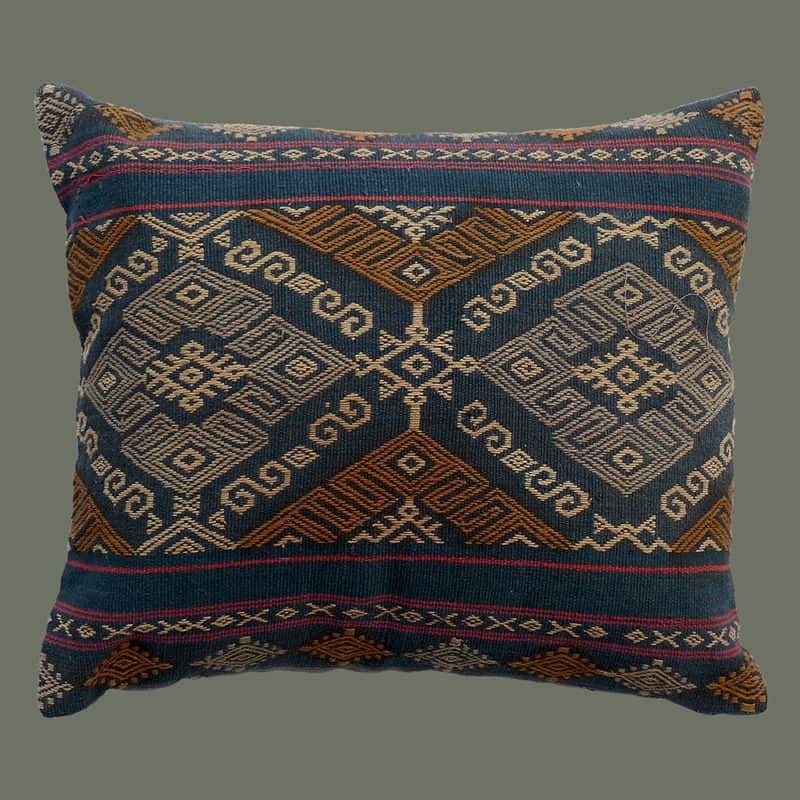 Vintage Sumba weaving in natural colors on cotton. 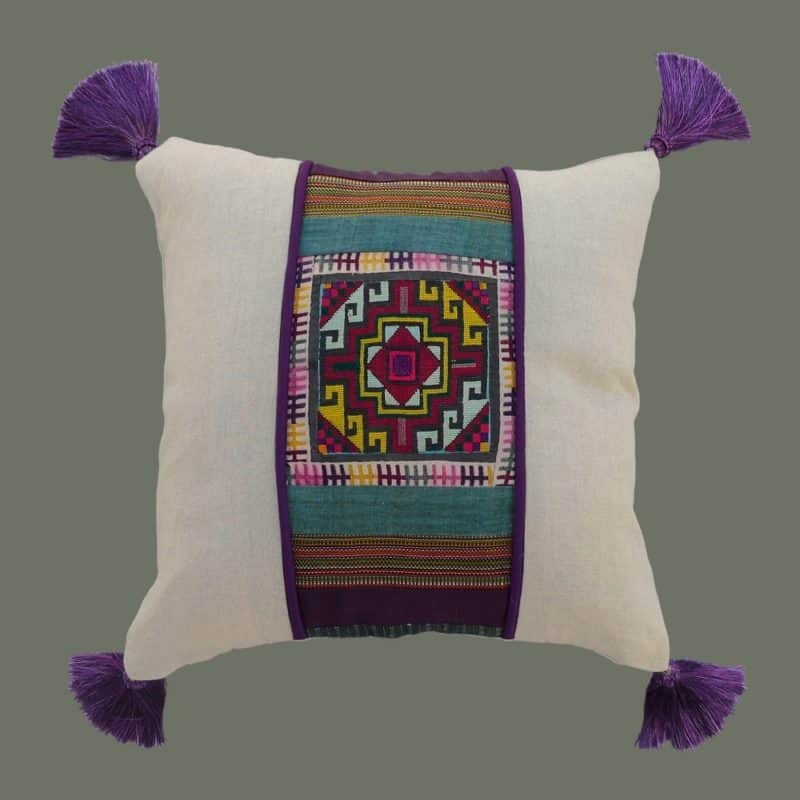 Vintage embroidered panel from Uzbekistan is combined with vintage silks and cotton piping, and accented with silken tassels + beads of glass and 92.5 silver. 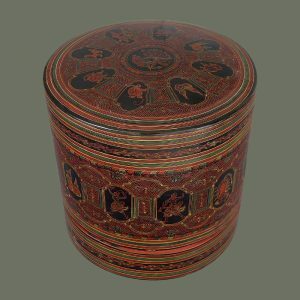 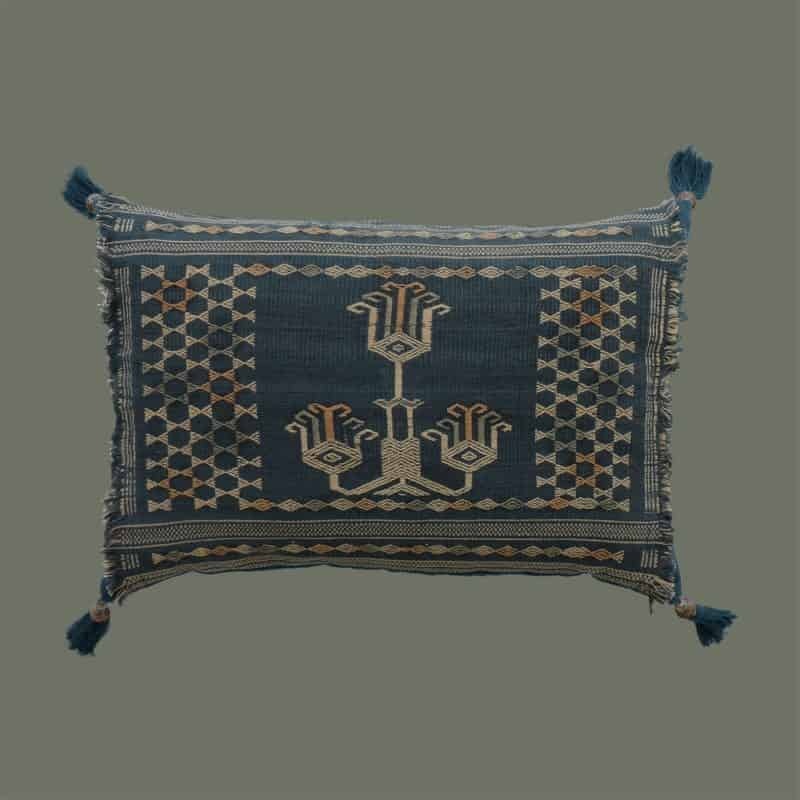 Vintage embroidered panel from Uzbekistan is combined with vintage silks and cotton welting, and accented with silken tassels + beads of glass and 92.5 silver.